28 November 2018 – Today, the Senate voted 63-37 to discharge a bipartisan joint resolution co-sponsored by Senator Bernie Sanders (I-VT), Mike Lee (R-UT), and Chris Murphy (D-CT) to halt United States (US) support for the Saudi military campaign in Yemen. This vote serves as an important procedural step in the legislative process, setting the resolution on the path to come up for a final vote in the Senate further down the line. Despite this display of bipartisanship, the White House has pushed back against the resolution, threatening to veto it. 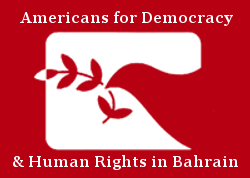 Americans for Democracy & Human Rights in Bahrain (ADHRB) applauds this crucial step towards ending US support for Saudi Arabia in Yemen’s harrowing civil war and we encourage the full passage of the resolution. However, we are concerned and disappointed with the White House’s full-throated, unrelenting, and uncritical support of Saudi Arabia and its threats to veto oversight attempts by Congress. This vote marks the second attempt to pass Senate Joint Resolution (S.J. Res. 54) on Yemen, initially introduced earlier this year on 28 February. With this resolution, Senators Sanders, Lee, and Murphy have sought to end US support for Saudi Arabia’s military campaign in Yemen by prompting Congress to direct the President “to remove U.S. Armed Forces from hostilities in or affecting Yemen, except those engaged in operations directed at Al Qaeda, within 30 days…” The resolution’s text specifies that execution of this directive must take place unless the President requests a later authorization date from Congress, or a declaration of war is authorized. The resolution – drawing its weight from the War Powers Resolution of 1973 – has attracted substantial bipartisan support, including from co-sponsors Senator Susan Collins (R-ME), Senator Jack Reed (D-RI), and Senator Lindsey Graham (R-SC), among others. Though S.J. Res. 54 was first tabled in February in time for a March vote, it has since seen renewed support in the wake of the murder of Saudi expat journalist Jamal Khashoggi. Notable votes came from Senators Jeff Flake (R-AZ), Catherine Cortez Masto (D-NV), Bob Menendez (D-NJ) – all of whom initially voted to table the joint resolution in March – and Senator Lindsey Graham, who threw his weight behind the bill more recently. In recent weeks, surmounting evidence of Saudi involvement in Khashoggi’s murder combined with the US administration’s weak response have amplified the call for US action against Saudi Arabia, particularly in Yemen. However, the administration has refused to take a harder line on the Gulf kingdom, instead dismissing the conclusions of an assessment from the Central Intelligence Agency (CIA) on the likely involvement of Saudi Crown Prince Mohammad bin Salman (MbS) in Khashoggi’s murder. While the administration has sanctioned 17 Saudis for their involvement in the plot, it has maintained a weak stance on addressing serious rights abuses committed by its Gulf ally, including in Yemen, illustrated in the private briefing Secretary of State Mike Pompeo held with senators prior to the vote. The briefing was notably held in the absence of CIA Director Gina Haspel as the Secretaries briefed senators on the importance of the US-Saudi relationship, urging continued involvement in the Yemen conflict, and reiterating support for White House’s stance on the Crown Prince. However, the briefing further divided the administration and Congress, leaving the legislative branch calling for a harder line on US relations with the Kingdom. The discharge of S.J. Res. 54 marks a turning point in the US role in Yemen, but momentum must not stop once the joint resolution is brought to the Senate floor. If the Senate is to make serious progress in withdrawing US support for the Saudi military campaign and the war in Yemen, it must pass the legislation by a veto-proof margin. We urge the Senate to push forward with its bipartisan efforts to take a stronger stance on Saudi Arabia, and we further urge the White House to reevaluate its relationship with the Gulf kingdom and ultimately approve the withdrawal of US support for Saudi Arabia in Yemen.